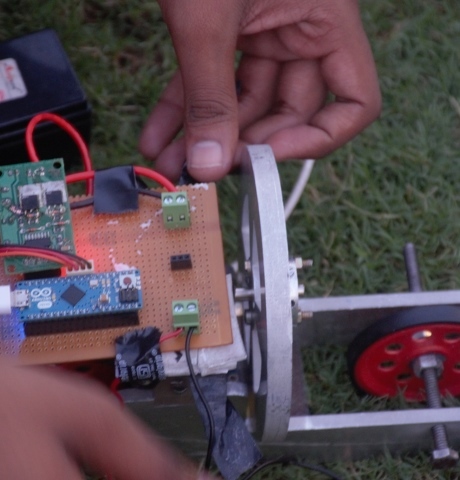 Students from IIT Kharagpur are working on an effective and unique project entitled Autonomous Underwater Vehicle (UAV). The students have designed this vehicle as a ROBOT which is very much brilliant more than drones and it has the potential in performing consigned tasks beneath water like exploring for fragments of an aircraft crashed in a deep ocean. Formerly, the students at Robotics Centre have advanced and developed ‘Kraken 3.0’, which is a prototype UAV that has the ability to move more than a depth of 10 metres in a puddle of water or just like a submarine. They have pre-programmed the vehicle in such a way that it can accomplish precisely assigned tasks like under-water examining, detecting lost wreckage and gathering all those fragments. Abhay Kumar, who is directing and guiding this team of students, told PTI that, it can also be used for undertaking repairs for the exterior hull of a ship. The UAV vehicle just looks like an armed warrior and it is designed with powerful robust censors and cameras to discover and identify its environs. The Under-water Robot is 1.3-metre-long designed using Six- thruster model that can easily revolve on its own almost in five different directions. UAV is developed as an alternative for drones, because drones are unable to use under water. Even, they are not water-resistant as the wireless technology embedded inside it doesn’t support to move beneath water. The students are now gearing themselves for participating in the International AUVSI RoboSub Competition to be held at California in July. 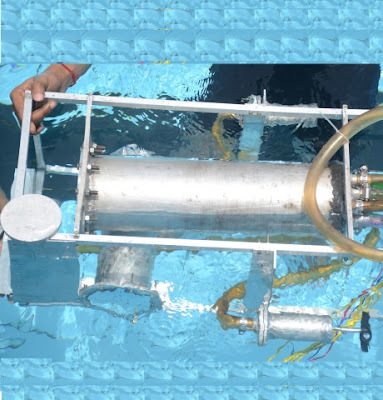 It is meant for industries and students to display their skills in underwater robotics. At the hydrodynamics lab, they are busy doing active testing to develop a rugged autonomous vehicle. The team aims to commercialize the vehicle as an education tool. Students say they are also interested in connecting with entrepreneurs in the field for partnerships.